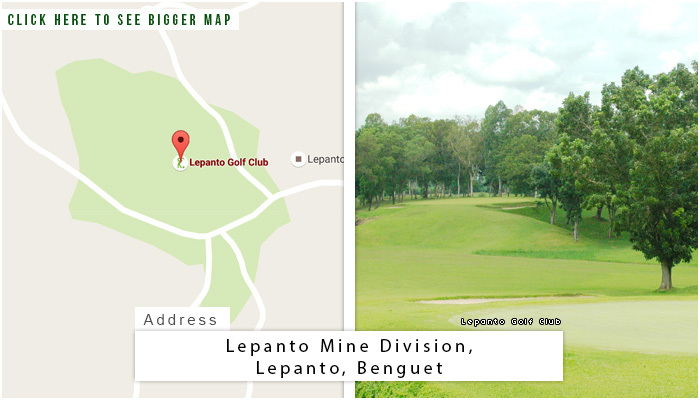 In the mining complex of the Lepanto Consolidated Mining Company, lies the Lepanto Golf Club. The Lepanto Consolidated Mining Company is one of the primary gold producers in the Philippines. The Lepanto mining complex is situated in the Municipality of Mankayan, Benguet. The company is operating in Benguet for 70 years since 1936. 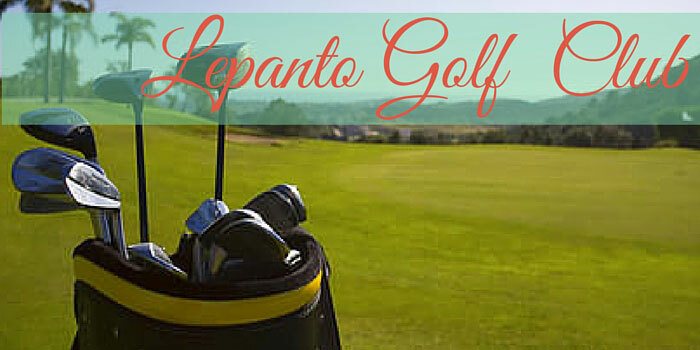 The Lepanto Golf Club is part of the support facilities and services of the company. It is housed by the community center of the company, primarily for the welfare of their employees. 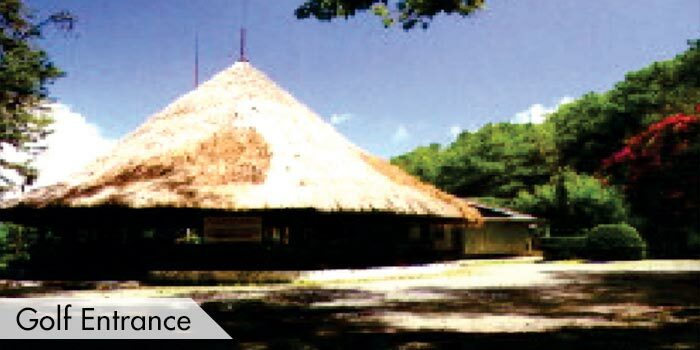 Together with the golf club, the community center also houses a theatre for movies and programs, training center, canteen, playing courts for basketball, lawn & table tennis, volleyball & badminton, and a playground and park for children and residents of the mining complex. It is short, but playing in this club is definitely not going to be easy. 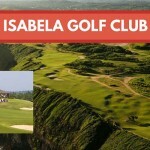 The club is surrounded by a breathtaking view of the mountains. 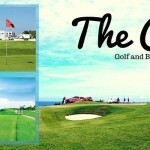 The 18-hole golf course consists of different challenges. 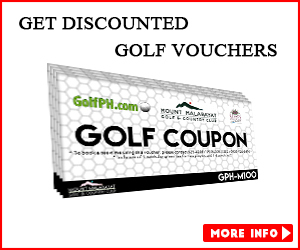 These challenges include, narrow fairways lined by Pine trees and Almus trees, small greens, and rolling terrains. 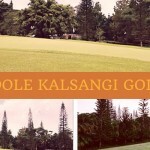 This is one challenging Par 61 course you would want to try for a memorable round of golf. 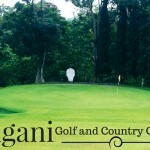 The club have several facilities to cater further needs of the players. 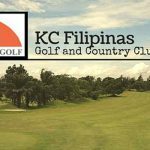 These facilities include driving range with clubhouse that has a restaurant, function room for the awarding ceremonies, lockers for male and female, rest rooms, and showers. 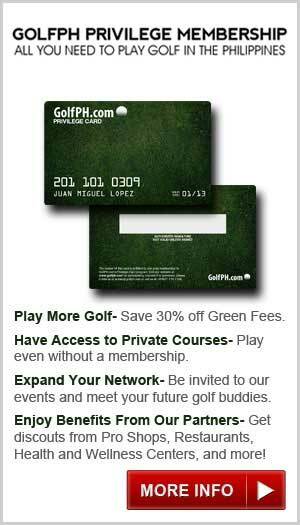 The club is primarily for the employees of Lepanto Consolidated Mining Company only but, it is open to the public. Reservations are necessary and should be made two days before the play date. 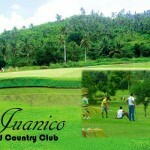 Lepanto Golf Club is located 100 kilometers north of Baguio City. To get there, there are two modes of transportation available. 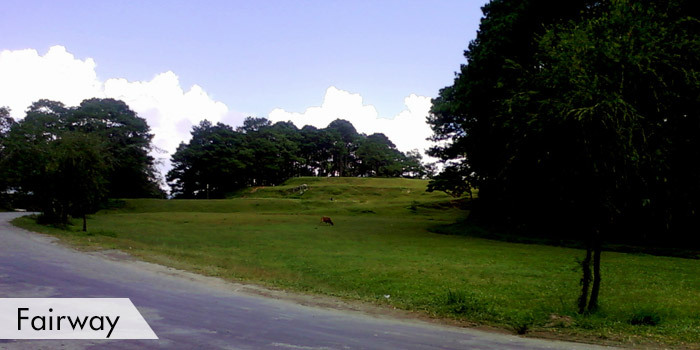 It is by car or by small plane, Lepanto has its own 800-meter airstrip. There are two recommended accommodations available in the area. These hotels are the Lepanto and Mt. Data Hotel which have limited rooms for guests and should be reserved in advance. This is a private course. Reservations are necessary and must be made two days before the play date. 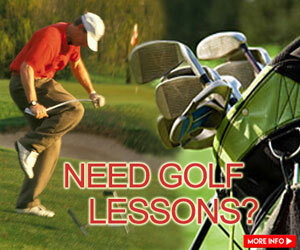 You may contact the course directly for tee-time bookings.